Home Education PEF SUMMER MUSICAL – HELLO, DOLLY! PEF SUMMER MUSICAL – HELLO, DOLLY! This year marks the Public Education Foundation’s 30 th summer musical and we are proud to present HELLO, DOLLY! Performances will be held at Old National Events Plaza, July 12-15 th . HELLO, DOLLY!, the rollicking musical comedy, is a delightful romp through nineteenth century New York. Hilariously funny, there is also something intangibly lovely, bittersweet, and deeply moving about the show. The 2017 revival production is currently wowing audiences on Broadway and across the country. Relive the magic of the original Broadway score, with favorites like Put On Your Sunday Clothes, Before The Parade Passes By, the high-energy Waiters’ Gallop, and everyone’s favorite title song – Hello, Dolly! 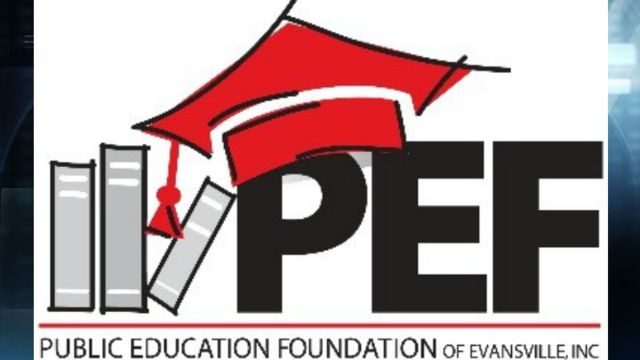 This event is presented by the Public Education Foundation in collaboration with the Evansville Vanderburgh School Corporation and sponsors including: Old National Bank, Berger Wealth Services Group, Schultheis Insurance, T.R.U. Event Rental, and The Women’s Hospital. We’re grateful to all of our show and program sponsors who – with their support – help ensure summer programming like this stays in our community. The performances will take place Thursday, July 12 th at 7PM, Friday, July 13 th at 7PM, Saturday, July 14 th at 7PM, and Sunday, July 15 th at 2PM. Ticket prices range from $6.50 $10.50 for students/children and $12.50 – $18.50 – for adults. Call the Old National Events Box Office today for tickets – (812) 435-5770 ext. 211. For more information, please contact the Public Education Foundation at (812) 422-1699.